We would like you to be the next one to have your comments here after completing a course with us, just like these customers who took the time and trouble just to say thanks! Our very latest testimonials from FreeIndex can always be seen here, below are some of the others we have received directly, and one of our former customers, Louisa, even went as far as sending us her driving diary! ‘A wait of over 10 years had proved that I was not good at organising anything to do with getting a driving licence. I therefore found the assistance from Pete to be exactly what I needed – once I had given some dates that I could make, the course, accommodation and test were all booked for me – all I had to do was get myself to the train to Kings Lynn! Pete was also extremely helpful in tailoring the course around my work commitments so that I could take the test at a date some time after my initial visit for the lessons. Mark was my instructor and I couldn’t have hoped for a better teacher. Driving an almost stall-proof diesel Citroën, I was taken through the various test routes of Kings Lynn where Mark accurately identified all of my faults and poor driver habits and patiently explained the proper driving techniques so that errors were ironed out quickly. I also liked how good Mark was at spotting the parts of test routes where I struggled, making me repeat them until I had mastered them. Mark is a really decent guy who it was a pleasure to learn from, and who had a lot to teach given his substantial knowledge (including great tips on exactly what testers would look for). What’s more, he genuinely cares about the result for his students, doing all he can to prepare you for test day (and I found it funny that he seemed even more nervous than me when the tester was announcing the result). 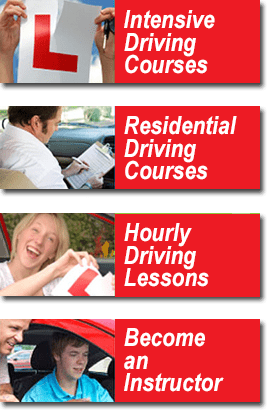 I’m pleased to say that, with Mark’s invaluable assistance, I passed first time and I would recommend him to anyone! One other point worth mentioning is the great accommodation provided by Mark and his lovely wife at their family home. A self-contained unit forming part of their garage, it had all the facilities one could need during the course. The fabulous big breakfast was a perfect set up for a day of driving and the local shop and take-away/restaurant were more than enough for my evening needs. ‘I had a really good week in Kings Lynn… learnt lots of driving, enjoyed it… my instructor Simon was really good, noticed everything, explained stuff, didn’t tear his hair out, good company. I was pleased by how smooth all the arrangements were The accommodation was comfortable and convenient and the hosts were welcoming and went out of their way to look after me.